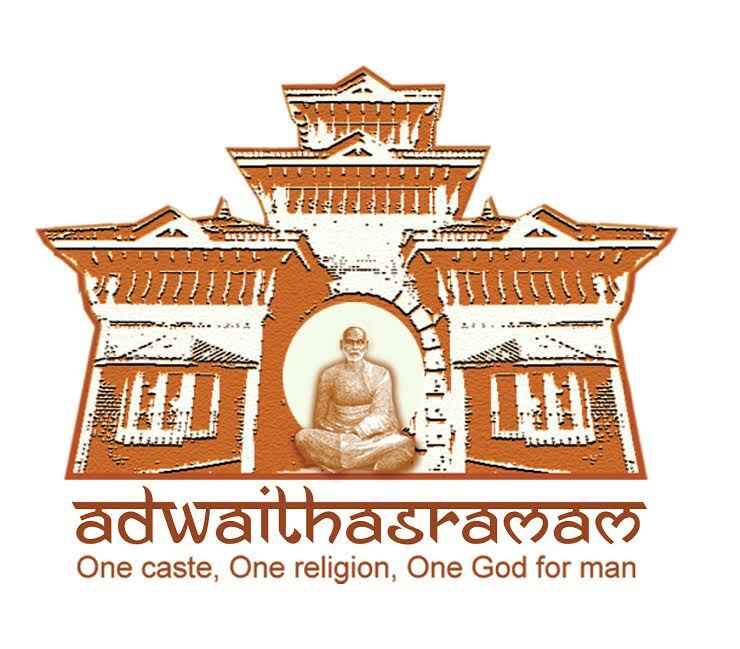 Adwaidashramam, the most important centre established by Shri Narayana Guru, for the propagation of his philosophy is situated at Aluva, in central Kerala. During the time when the Guru had been visiting many places as a Seer along with Shrimath Chattampi Swamikal, they used to take rest under a tree at Aluva, where the Adwaidashramam was established later. That particular place was known as "Vadarathu Banglavu" at that time, which was blessed with natural beauty and an enchanting river Poorna. The Guru might have thought of establishing an ashram at that place. 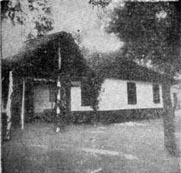 After the consecration of the famous Sarada Mutt at Sivagiri (ME.1087) the guru visited Aluva, consulted with some followers and purchased the 'Vadarath Banglavu', owned by Haji Moosa Sett, a noted merchant of Kochi. The landed porperty and paddy field seen in the eastern side of the ashram was later purchased and added to the main campus. The ashram was established by the guru in AD 1913 (ME 1088. A Sanskrit school and hostel for the students (gurukulam) were also constructed beside the ashram. The Sanskrit School was inaugurated by Shri Mannath Krishnan Nair, the then Diwan of Travancore. The senior teacher in the school, with the passage of time, became a devotee of the Guru and was later known as Swami Athmananda. The best teachers and students of the school had later made abundant contributions to the cultural and literary life of Kerala. The great disciples of the guru, Shrimath Swami Bodhananda, Swami Shri Narayana, Chaithanya, Swami Govindananda, Swami Athmananda, Swami Vidyananda, Swami Achuthananda, Swami Sathya Vrathan, swami Sankarananda, the famous poet Kumaran Asan and Sahodaran Ayyappan had rendered invaluable services for the development of the ashram. Many books of the Guru based on Adwaida philosophy were written at this ashram. The Guru's famous enhortations were made here. Besides, he imparted knowledge to the public on equality, fraternity and world peace, based on Adwaida Philosophy. The Guru advised the people to study the teachings of all religions and to exchange the acquired knowledge to others with love and respect. On 20th and 21st of Kumbham, ME 1099, he convened a meeting of all religions at the ashram. Representatives of Christianity, Islam, Hinduism and Budhism were invited to speak on their religion, with an intention to convince all people that the essence of all religions is one and the same. His famous Slogan, " No to argue and succeed; but to know and make others understand" was written at the main entrance of the conference of all religions. It was in connection with the Sivarathri festival. The resolution approved by the conference says as follows. "The message of the conference of all religions is that the objectives of all religions is one and the same and it is quite meaningless to quarrel each other." It was decided to convene conference of all religions every years along with the Sivarathri festival. Mahatma Gandhi, the father of our nation visited this ashram twice. In connection with Vaikam Satyagraha the Pit Pact Agreement was signed at the ashram. The conference of all religions held at Adwaidashram was the first in Asia and Second in the world. Many national leaders and those who fought for India's freedom visited this ashram. Great spiritual leaders like Thapovana Swamikal visited this ashram to see the Guru. Here history merges with spirituality. The adwaida philosophy, the invaluable asset of India, leads the humanity to unity, fraternity and peace. The ashram is on the banks of Periyar.